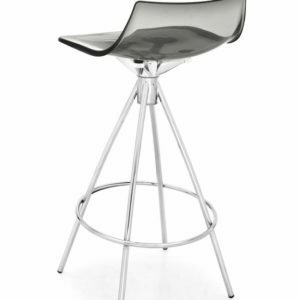 Chiaro Stool features a chromed base with footrest and a single-shell techno smoked gray polymer seat. 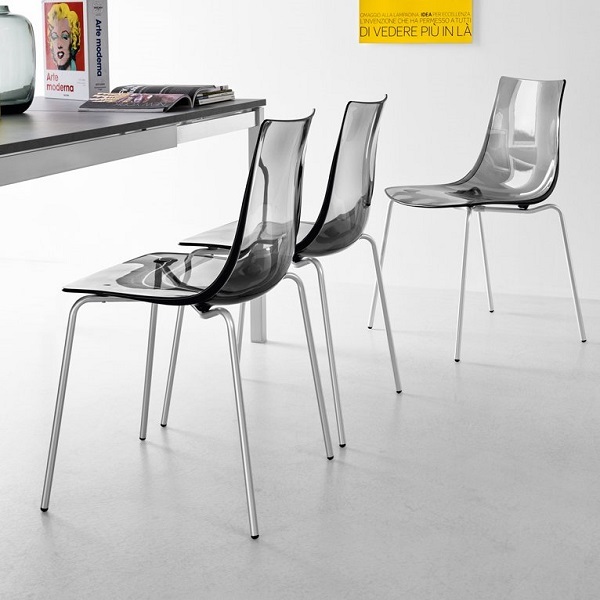 The wraparound, yet streamlined shape of the seat makes it pleasant and ergonomic to use. 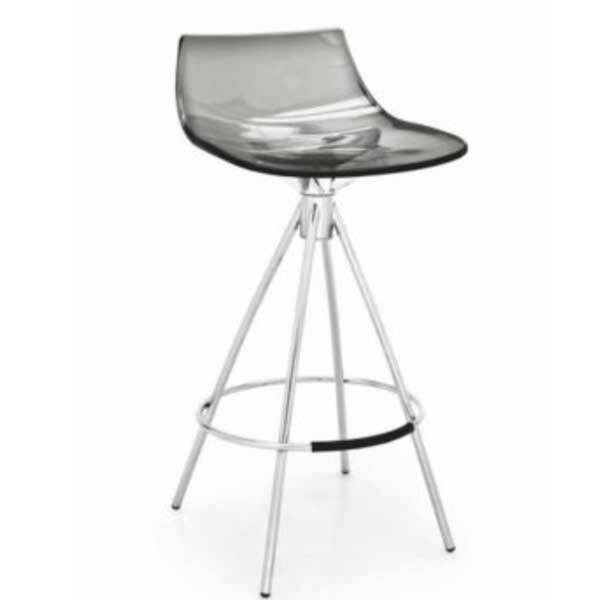 The 4 star base is in tubular steel. 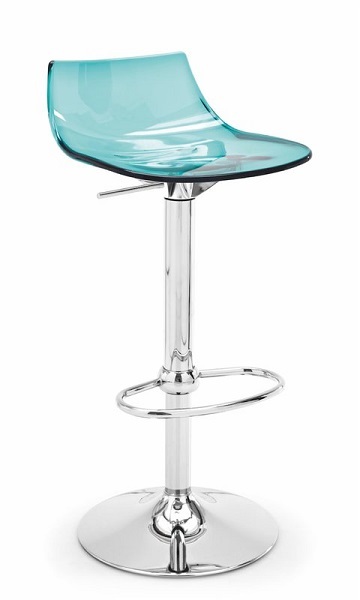 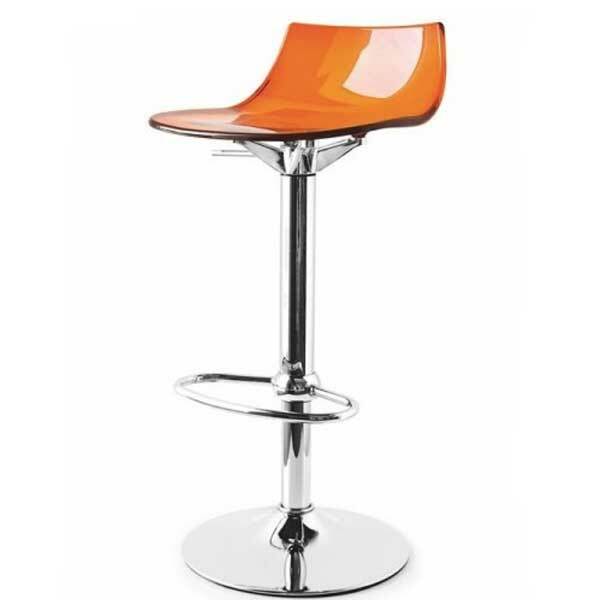 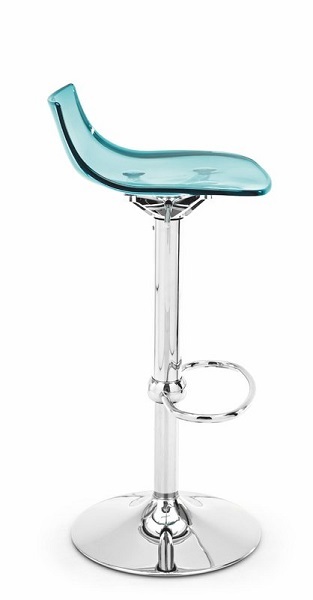 This modern stool is suitable for several uses including the home and bars! 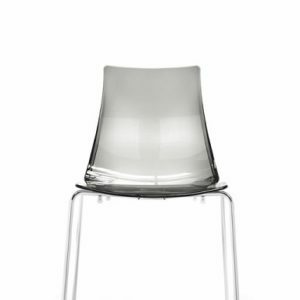 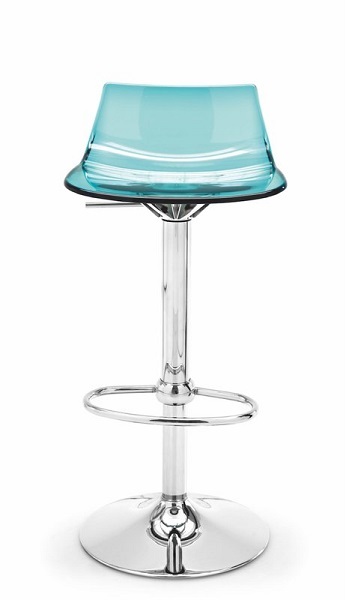 The Chiaro Side Chair features a single-shell seat in techno polymer with four transparent color options. 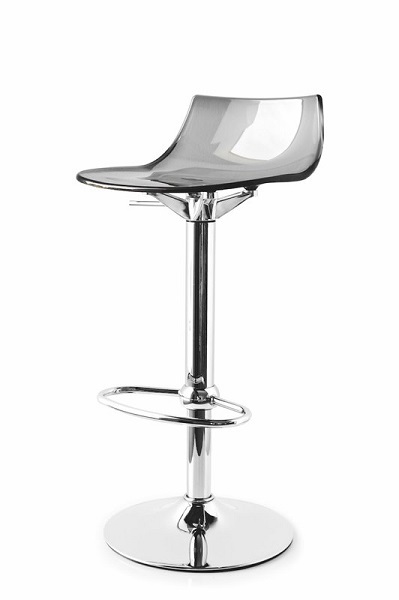 The wraparound, yet streamlined shape of the seat makes it aesthetically pleasant & ergonomic to use. Stacks up to four chairs to save on space!